Back View Of A Blissful Woman Celebrating Sport And Fitness Lifestyle.. Stock Photo, Picture And Royalty Free Image. Image 33530453. Stock Photo - Back view of a blissful woman celebrating sport and fitness lifestyle success. Female athlete raising arms to the sky after exercising for relax towards beautiful sunset or morning over city skyline. Back view of a blissful woman celebrating sport and fitness lifestyle success. 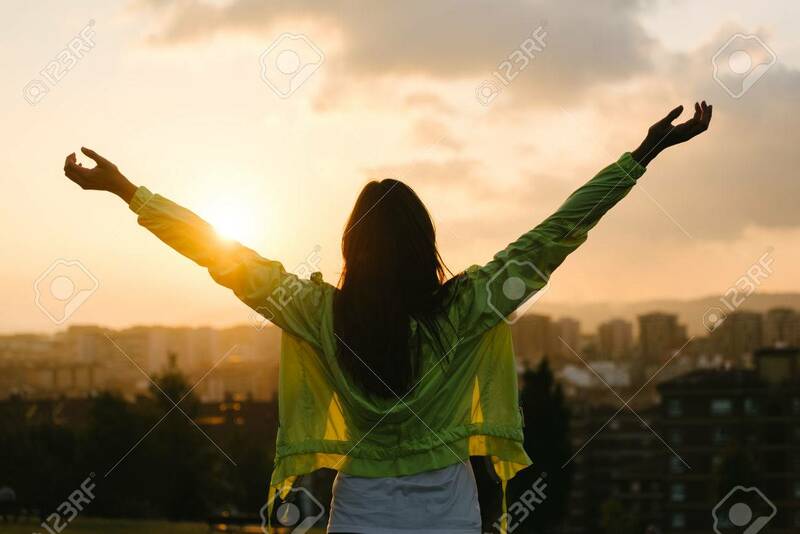 Female athlete raising arms to the sky after exercising for relax towards beautiful sunset or morning over city skyline.